Ideal for cellars, drying out during builds, flood recovery etc. 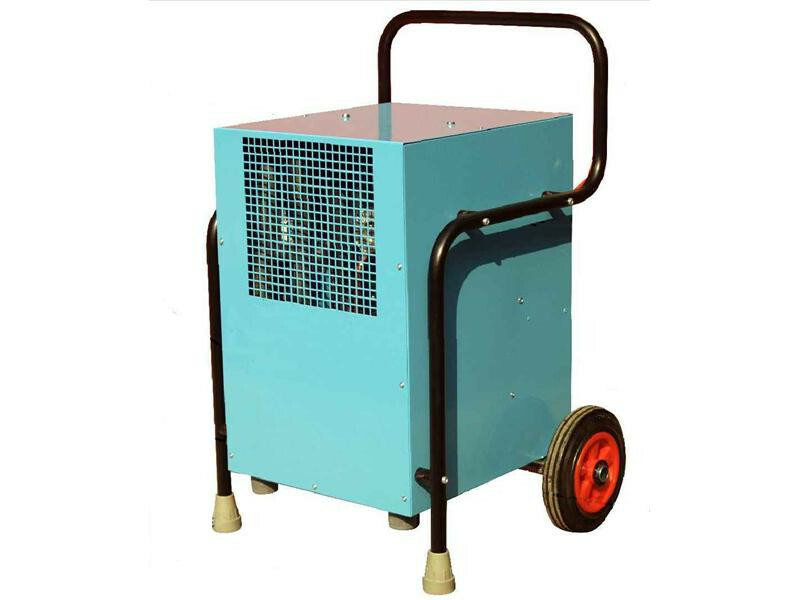 The DiO CR70 Dehumidifier has been designed and manufactured in the UK for us specifically for use in storage rooms, the building trade and flood recovery industries. It's rugged all steel construction, compact size yet with high extraction rates and low power consumption ensure optimum versatility. The CR70 will extract up to 70 Litres of water per day. The CR70 benefits from all steel construction with the outer casing 'Plasticol' covered. This will ensure long life and resistance to damage. The CR70 is fitted with large wheels and cradle frame to allow ease of movement.